Something that Chad is quick to remind me to be wary of is project creep…you know, where one thing leads to another, and while you’re at it you can do this, and that, and that…and what ended up starting out as a simple axle swap has now turned into a full-blown restoration that you were nowhere near ready for. I’m not the master of project creep, but damn if I don’t do my best to take full advantage of the temptation every time the opportunity presents itself. The worst point was 2010, when I had a Chevelle that needed bodywork by the metric ton of Bondo, a Ramcharger that needed a freshening, two motorcycles that I didn’t own in the garage that needed repairs, a Mirada that needed Jesus’s own blessing to turn good, a ’68 stepside Chevy that needed paint, and was trying to buy a lifted Explorer with body rot and a 2002 Camaro SS to scratch an itch. I’m still amazed that nobody tried to have me committed when I attempted to purchase a brand-new Challenger R/T. A year ago, the Hoonigans cornered Brian Scotto about his addiction. The dude had a fleet of cars going and most of them were deep projects…we’re talking non-runners, “I’ll get to it someday” kinds of piles that usually end up as yard art. The bet was simple: he made a list of the keepers and the ones that could go away. In one year’s time, the sell list had to be gone and the keepers…ALL of them…had to be running and driving. Safe to say, he failed…especially when he bought a project car last year. So, he lost the bet and took a quick drive back to 1994 for some frosted tips. When you look like every kid I went to middle school with as someone pushing into their forties, it’s not a good day. 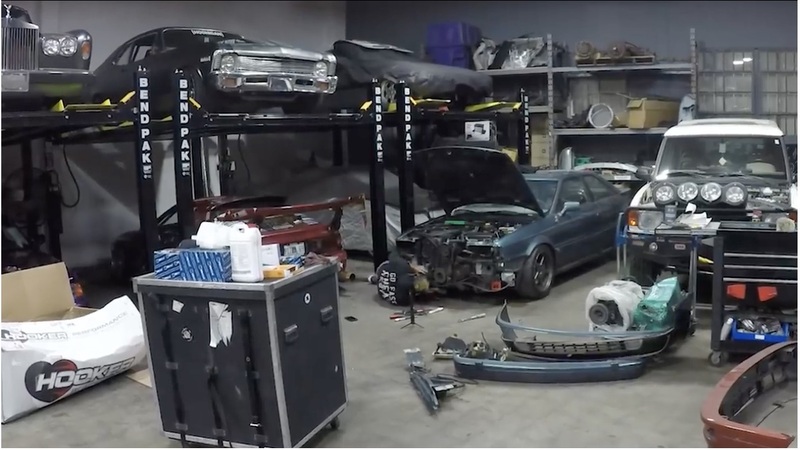 At least Scotto is a good sport about it, paid up his debt, and is back to work on his biggest current project, his Audi. It needs a timing belt. And all we will say about that: better you than us, buddy. Unhinged: The Five-Year Plan Review - It's Really Been That Long Since I Started?! BangShift Question Of The Day: How Would You Change The New Truck Game? The timing belts are actually worse on the transverse engines. You don’t have to disassemble so much for access–you just don’t get access. It’s horrific. some people deserve there own form of punishment why would any own this much pain ????? Timing belts on Audi’s is probably one of the easiest engines to do, provided they’re facing the right way. Do the same thing on a VW T4 Eurovan, more so the TDI with it’s belt driven fuel pump, and you start thinking pulling the engine is easier. And doing the belts is easier than pulling the auto out of the vans, I’ve had ALOT of practice, probably a dozen in 6 months.